Much of the built-in Republican advantage in the House has been in these states. The consequences of this week’s midterm elections will ripple outward through the next decade: Should Democrats win key governorships and state legislative seats, they can begin to roll back the advantage Republicans have built in for themselves in the House of Representatives. This fall, I wrote a longer piece on how important this year’s midterms will be for unwinding Republican gerrymandering in key states. This is mainly because many state politicians elected this year who get a say in redistricting — largely governors and state senators who serve four-year terms — will be in office in 2021, when the next round of redistricting begins. Neither party will have another bite at the apple for these races after they are settled this week. The last time this batch of governor and state legislature seats went up before a redistricting, in 2010, Republicans dominated them. And they used those wins to draw House of Representatives maps in key states that gave the GOP a built-in advantage — which has helped them hold onto control of the chamber ever since. Democrats are optimistic they’ll make progress in state legislatures on Tuesday, but they doubt they’ll reclaim too many key chambers outright. That’s because many state Houses and state Senates are themselves heavily gerrymandered to benefit Republicans. Democrats hope a blue wave will lead to some unexpected wins, but many chambers seem set to remain firmly in the GOP’s hands. “If Democrats win one statewide race in what looks like it could be a wave year, they can assure themselves at least of veto power” over new maps in 2021, David Daley, an author who’s written a book about gerrymandering, told me this summer. So, even if faced with one or two Republican state legislature chamber majorities, a Democratic governor’s veto could either force a bipartisan compromise or create gridlock and throw the matter to the courts. Either would likely be a dramatic improvement over the Republican-only maps crafted last time. These, then, are the key governor’s races Democrats would need to win to get that power. 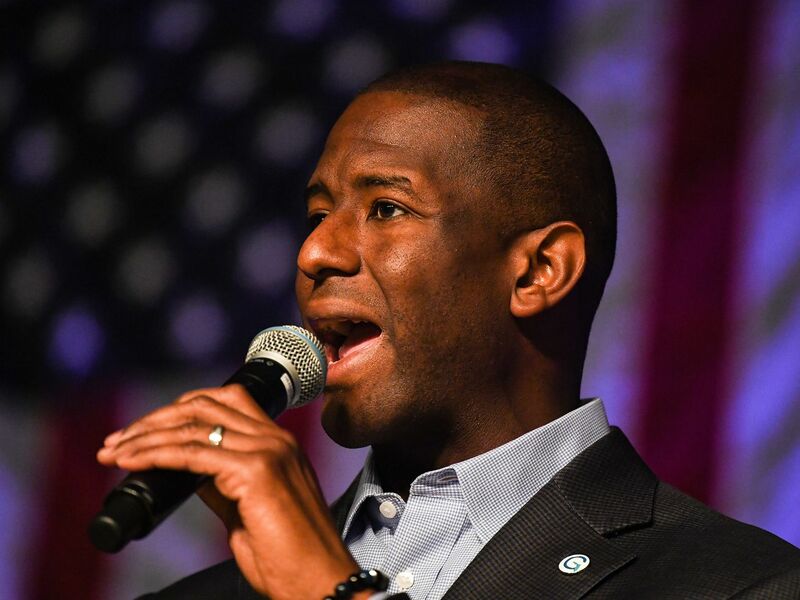 Florida Democratic gubernatorial nominee Andrew Gillum. Florida is the third-most-populous state in the country. It already has 27 US House seats and is projected to gain another two after the 2020 census because of its growing population, so its map will be enormously consequential for control of the House. 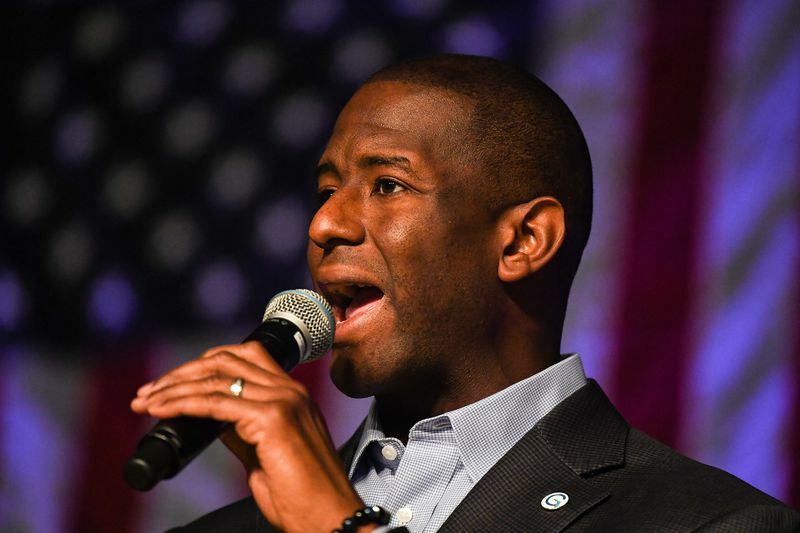 Now, Democratic Tallahassee Mayor Andrew Gillum and former Rep. Ron DeSantis (R) are locked in a close race for governor. Whoever wins will get the ability to sign or veto Florida’s new congressional map in 2021 — and the sheer size of Florida, combined with those expected two new seats the state will get, makes that quite important. Gillum has consistently led polls, but on average, his lead is quite narrow. Michigan’s Democratic gubernatorial candidate, former state Sen. Gretchen Whitmer. Donald Trump won Michigan by 0.2 percent in 2016, and Barack Obama won by double-digits twice — yet its US House delegation was dramatically gerrymandered in Republicans’ favor in 2011. In the 2012 election, Obama won the state by 9.5 points. But, amazingly enough, Republicans won nine of the state’s 14 congressional districts, reflecting one of the worst pro-GOP gerrymanders in the country. (At the time, a GOP staffer enthusiastically emailed about cramming “ALL of the Dem garbage” into certain districts.) The GOP held onto the exact same House advantage in the 2014 and 2016 elections, too — the gerrymander worked exactly as planned. This year, Michigan’s electorate will get to vote on a ballot initiative that would dramatically reform the redistricting process, taking it out of the legislature and governor’s hands and setting up an independent commission of 13 ordinary citizens (four Republicans, four Democrats, and five independents) chosen at random from applicants. This would be a massive change from a process dominated by politicians. But there’s a danger to the commission strategy. Back in 2015, four conservative Supreme Court justices voted to strike down Arizona’s independent redistricting body, saying the US Constitution guaranteed state legislatures must be involved in redistricting (rather than being cut out through a ballot initiative reform). The Court’s five-justice majority upheld the independent redistricting body, but only with the vote of Justice Anthony Kennedy, who has since been replaced by Brett Kavanaugh. A more conservative majority could conceivably strike down redistricting commissions nationwide. That’s why a win of the governorship is so important for Democrats in reversing Michigan’s gerrymandering. 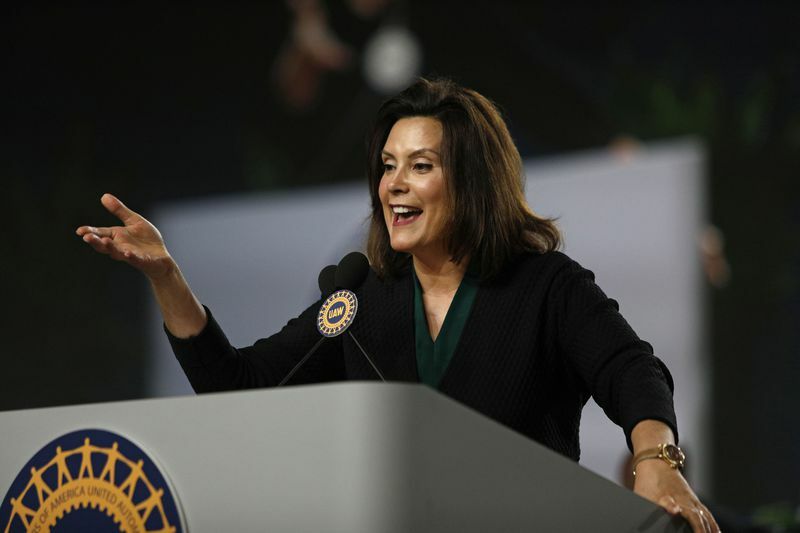 And the party’s nominee, former state Sen. Gretchen Whitmer, has built up a solid lead over her Republican opponent Bill Schuette in polls. Ohio Democratic Gubernatorial candidate Richard Cordray. Ohio is one of the most gerrymandered states in the country. Even when Barack Obama beat Mitt Romney there in 2012, Republicans won 75 percent of the state’s House races — giving them a 12-4 advantage in the state’s congressional delegation that they’ve held on to ever since. This spring, the state’s voters approved a reform proposal that modestly changed the process by which Ohio will draw its district lines. However, this reform still effectively gives the governor and state legislature majorities the final say; if they want to pass maps without any minority party support, they still can do so. 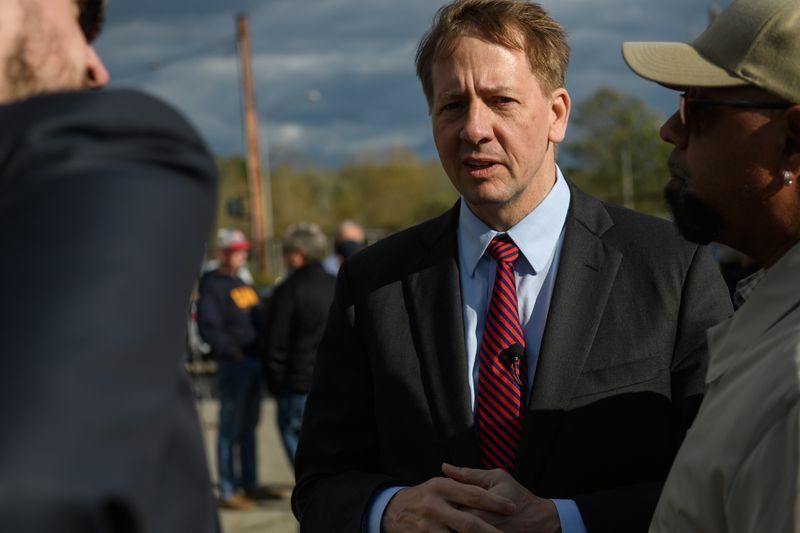 So Democrats’ best shot to try and roll back the state’s Republican gerrymanders is to win the governor’s race, in which former consumer financial protection bureau director Richard Cordray (D) is running against Ohio Attorney General Mike DeWine (R). Cordray has had a narrow edge in recent polls. Pennsylvania Democratic Gov. Tom Wolf, who is running for a second term. If you’re looking for an example of how consequential a state’s new House district map could be, look no further than Pennsylvania. From 2012 through 2016, the state flipped from a mid-single digits Barack Obama win to a narrow Donald Trump win. But all along, Republicans kept winning 13 of the state’s 18 congressional seats — a massive advantage for a swing state. But earlier this year, the state supreme court (which has a Democratic majority) threw out the map, saying it violated the state’s constitution by being an unconstitutional partisan gerrymander. The new map is dramatically more favorable to Democrats, and has helped put them in a good position to pick up at least three and potentially several more seats there. Still, that map won’t last long, since the next redistricting is coming up. 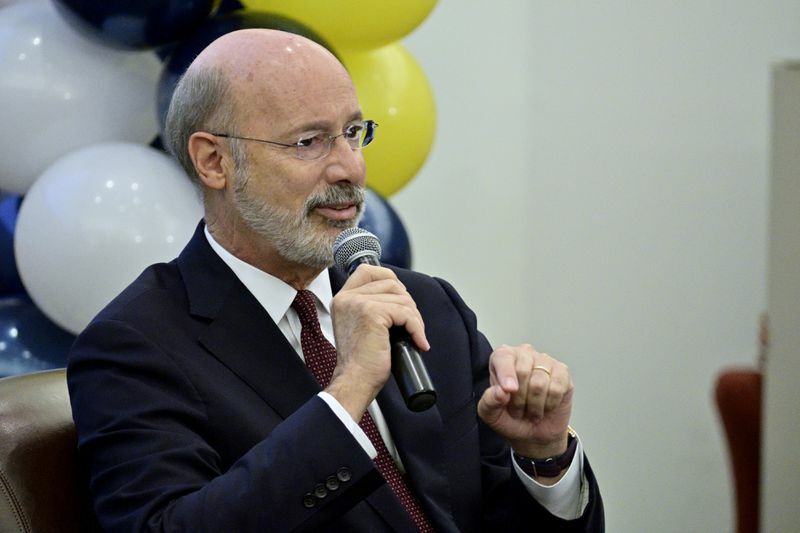 Unlike the other states on this list, Pennsylvania already has a Democratic governor, Tom Wolf, who is running for a second term. He’s the overwhelming favorite to win, leading his GOP opponent Scott Wagner by nearly 20 points in RealClearPolitics polling average. So if Wolf does win, Democrats won’t have to rely on the state’s Supreme Court to change the maps next time — his veto pen will give them a say throughout. Wisconsin gubernatorial candidate and current Superintendent of Public Instruction Tony Evers. Still, Republicans drew the House district lines so they’ve had a 5-3 advantage in that congressional delegation, even when Obama won the state by 7 points in 2012. This year, Gov. Scott Walker (R), who signed the current maps into law, is running for a third term — but he’s facing his toughest race yet. 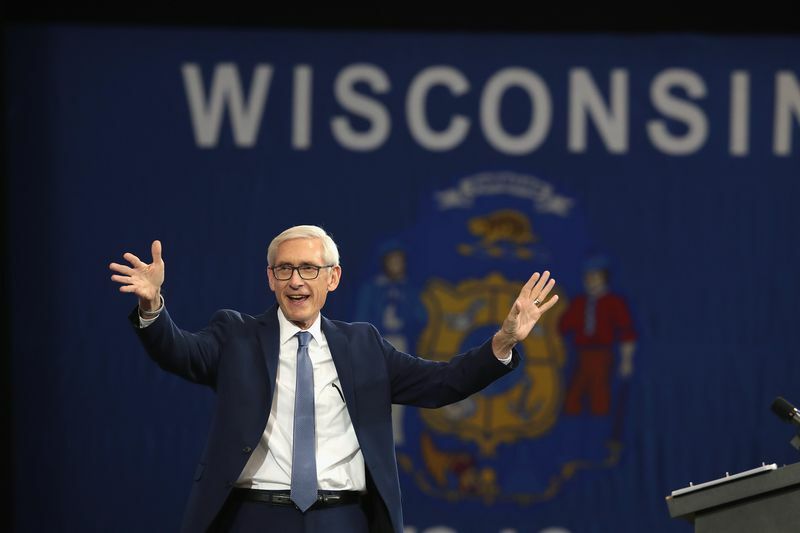 The Democratic nominee, state Superintendent of Public Instruction Tony Evers, has led most polls so far. If Evers wins, he’ll be able to try to roll back GOP gerrymandering in Wisconsin. 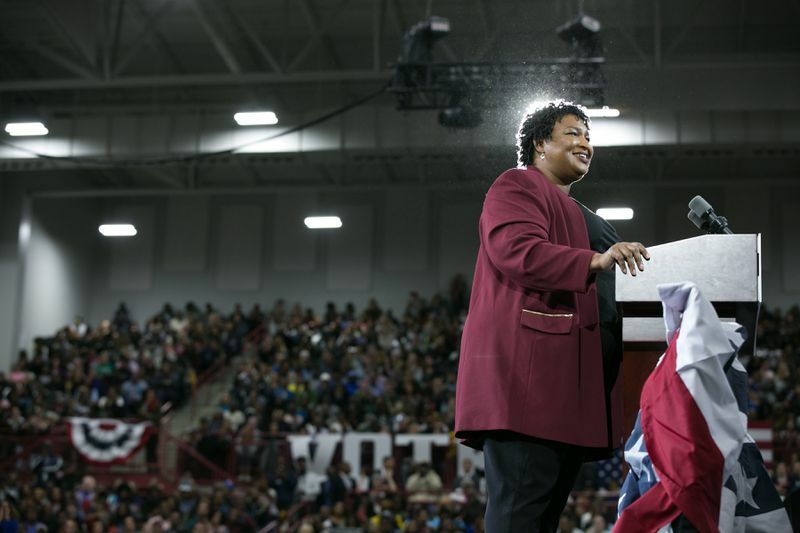 Georgia Democratic gubernatorial candidate Stacey Abrams. Should Stacey Abrams (D) defeat Brian Kemp (R) to win the governorship, in addition to her win being a historic first, she’d be able to try to wield her veto pen to help force a more favorable map for Democrats. Polls show this race as very close; the RealClearPolitics average currently shows Kemp up by about one percentage point. Still, the Lone Star state is worth a mention here because of Texas’s size and growing population. The second-biggest state in the country, it already has 36 seats in the House of Representatives and is expected to gain two more after the 2020 Census. That congressional delegation is currently dominated by Republicans — there are 25 of them, compared with 11 Democrats. Should Republicans hold power in Texas’s state government and manage to finagle an even more GOP-leading map than last time, it could cancel out some Democratic improvements in other states.